View the entire table of contents for the May 31, 1995 issue. May 31, 1995 Rebel With a Cause Didier Dagueneau's outspoken manner ruffles feathers in the Loire, but his convictions advance the quality of Pouilly-Fumé By Jacqueline Friedrich On a cold, bright December morning Didier Dagueneau is preparing to set off for Slovakia to compete in dog sled races. 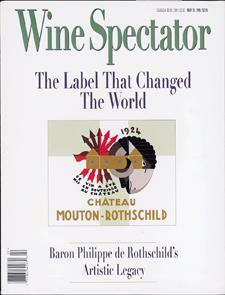 For the full article, check out the new issue of Wine Spectator, on newsstands May 31, 1995.